Contact our kind and polite customer support associates today. 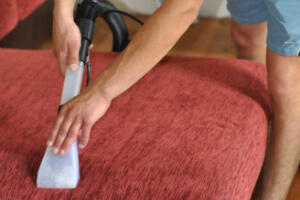 Ask for more info about our diligent and thorough upholstery and sofa cleaning procedure. Make an request free of charge right now! Just use this phone number 020 3746 5234 at any convenient for you time! We will be pleased to set up our hassle-free service when possible for you. Dear customers, we are glad to tell you that our company is always generous with special deals and discounts. Please note that if you order our high quality upholstery and sofa cleaning service in Hook KT9 with other service, you will get the second one on half price. We recommend you our professional mattress cleaning procedure on a budget. We can add bed bug treatment to it. The procedure is 100% environment-friendly and child-safe. We use UV lighting system to disinfect and to kill the microbes the fibres without making you wait for the mattress to get dry for a long time. On mandatory, depend on the skillful and educated Hook KT9 sofa and upholstery cleaners. RA Sofa Clean has picked only big pros in commercial and residential upholstery and sofa furniture cleaning. The skilled cleaners are insured and vetted. They carry out the basic principles in effective and safe cleaning. We also deliver regular pre-qualification classes for our teams in order to be always updated to the latest and newest trends in cleaning market. Our sophisticated Hook KT9 upholstery and sofa cleaning services are suitable for domestic and commercial purpose. Every one of you can benefit from it: home owners, tenants, property managers, office and big corporate buildings. Landlords and real estate agencies get special discounts for our services. It is not a secret why we are so successful. We just love our job and we never leave a place with unfinished job. We approach a customer individually and we accept all furniture types: synthetic, wool, cotton, viscose, organic fibre, linen, silk, suede, plush, chenille, acrylic, nubuck, leather. Dry cleaning is especially designed method for cleaning sofas and upholstery that are not water resistant or very delicate, therefore powder, shrink and spray-like products are used. Dry Cleaning is used more for refreshing the fabric, but does not clean any stains. Use this phone number 020 3746 5234 at any convenient for you time! Get a free quote now or make a direct reservation for our affordable sofa and upholstery cleaning service in Hook KT9!